Whilst I was living in London, I was lucky to escape to Marrakech for a weekender. Widely referred to as the Red City, Marrakech is situated in the south-western region of Morocco, just below the Atlas Mountains. 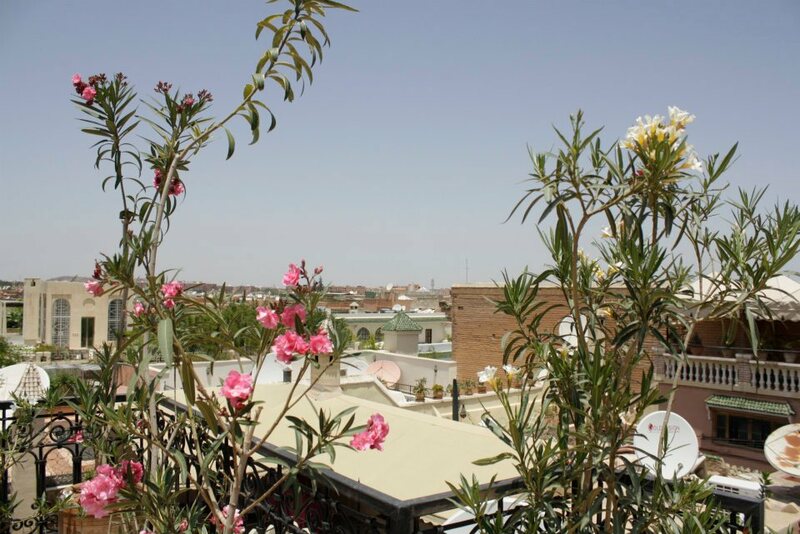 Marrakech has two main geographical divisions: the old city, also called as the medina, and the modern city, which has two principal districts named the Gueliz (the European modern district of the city) and the Hivernage. The third largest city in Morocco, early French influences are sewn into the culture of Marrakech and to this day, Marrakesh is particularly popular with the French with numerous French celebrities owning property there. Visit any time of the year, and you'll see the vibrant city is a mecca of medrassas, mosques, museums, souk districts, gardens, parks, palaces, and squares. When to Go The best time to go to Marrakech is during the spring and late winter seasons. The weather in Morocco is quite extreme, especially in the summer season which starts in July and only just cools off slightly in August. I went in June last year and the temperatures topped 45° each day; luckily it’s a dry heat! Getting There If you are based in London or are on holiday in Europe and want to visit Marrakech for a weekender, Easy Jet offer direct flights from Gatwick, London. The flight can take three and a half hours depending on tail/headwinds. I recommend organising transport from the airport to your hotel/riad prior to setting off as it can get a little overwhelming when you arrive. Do not expect a blissful, hassle-free ride to the city; the roads of Marrakesh are characterised by busy traffic and the intense road etiquette of most taxi riders. A taxi I hailed was almost in an car accident and resulted in a spitting match with the other driver. Not fun. Where to Stay If you want to experience Marrakech like a local and explore the city intimately, staying in a riad in the medina is perfect. Not sure what a riad is? Riads are old grand houses in the medina converted into hotels. If you want to avoid the hustle and bustle of the medina and relax by a pool under picturesque palm trees, there are many plush hotels for you to choose from at the Palmeraie which is a 20 minute drive from the city centre. I stayed at the gorgeous Riad Les Trois Palmiers which is owned by a gorgeous French couple. There are no cars allowed in the medina so be prepared for a walk from the city walls to your riad. Most hotels will look after your bags on this journey. Upon arrival I was taken to the roof top which offered immaculate views of the city and served hot mint tea and Moroccan sweets. It might sound crazy drinking hot tea in 45° heat, but it actually cooled me down. Looking back, I wish I’d stayed at the Palmeraie as it would have been nice to switch off for a day or so. Also, regardless of where you’re staying remember to book a room that has air-conditioning; they’re not as common as you might first think. Getting Around The only way to navigate the medina is on foot. The souk’s and laneways can get very crowded so hold onto your belongings tightly. If your trip is during the summer season, do not forget to bring a hat or umbrella when you go around the city. Once you are in Marrakech, you will see how tourist-friendly most Moroccans are, especially the store owners. However, there are still some locals who like to take advantage on travellers visiting the city so be street smart. And remember, you will surely get lost. If you do, don’t panic. Take your time familiarising yourself with the city. Most locals will be more than happy to help you but this comes at a price, so carry some cash with you and negotiate a fee before you set off. What to Wear Although Marrakech is known to be an Islamic city in a male-dominated society, it is still one of the most liberal Muslim towns in the Middle East. However if you want to avoid intense looks from locals, I highly recommend paying respect the local dress code – especially women. Each day I work a cotton maxi skirt and a cotton short sleeved tee. And even in that men were calling me a 'gazelle' and having a good old stare when I walked past so be prepared.